Rutland was a very wet place to be on Wednesday, as was most of Britain. But how quickly Spring bounces back. The blackthorn is well and truly out and not much the worse for wear after its battering. 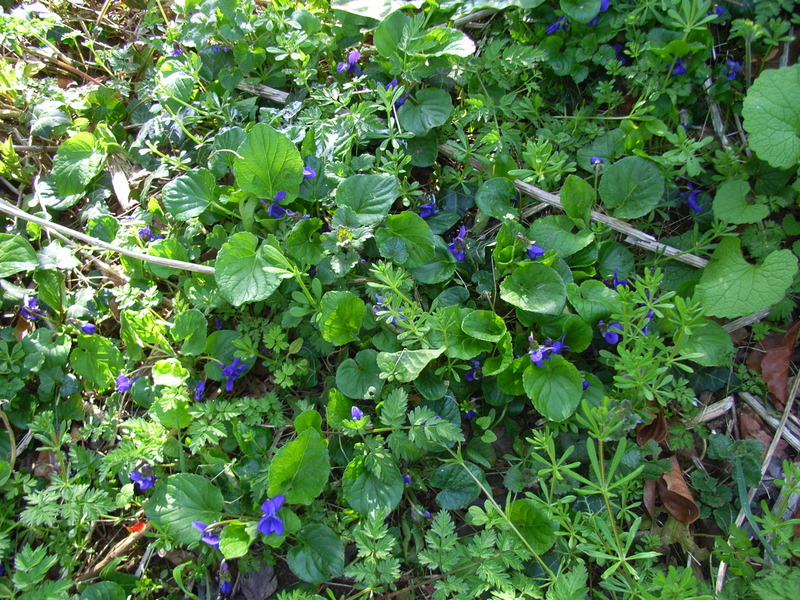 The violets are still scenting the air when the sun shines fully on them, though they’re now competing with the first flowers of the ground ivy. 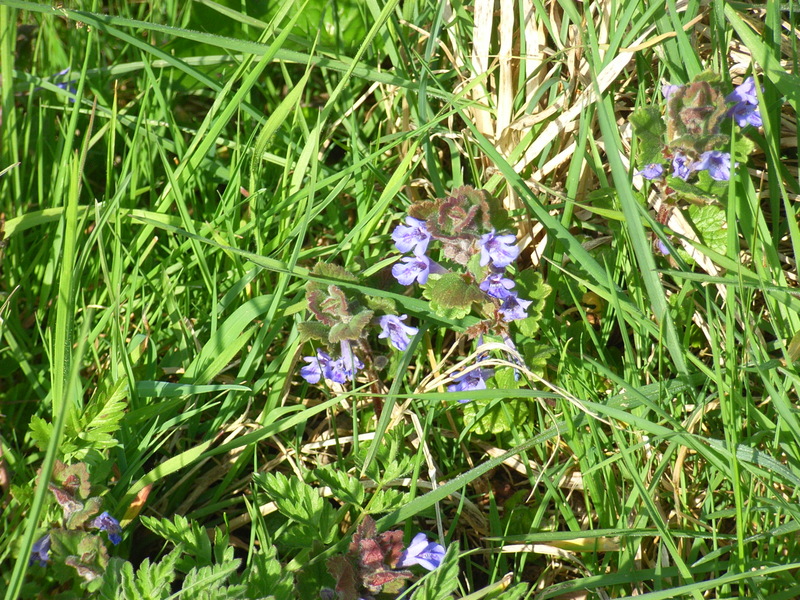 Ground ivy seems such a boring name for something with such bright little flowers – and it’s not an ivy at all, but part of the Labiate family, along with bugle and self-heal. The hares are playing again already. Whereas the rabbits stay close to the banks and hedges where their holes are, for a quick getaway, the hares love to be out in the middle of the field, where they can see trouble approaching several hundred yards away – confident that they can out-run anything that comes near them. This makes it impossible to get a decent photograph of them on an ordinary camera. The corn is sprouting, and the game-keeper has been shooting crows. 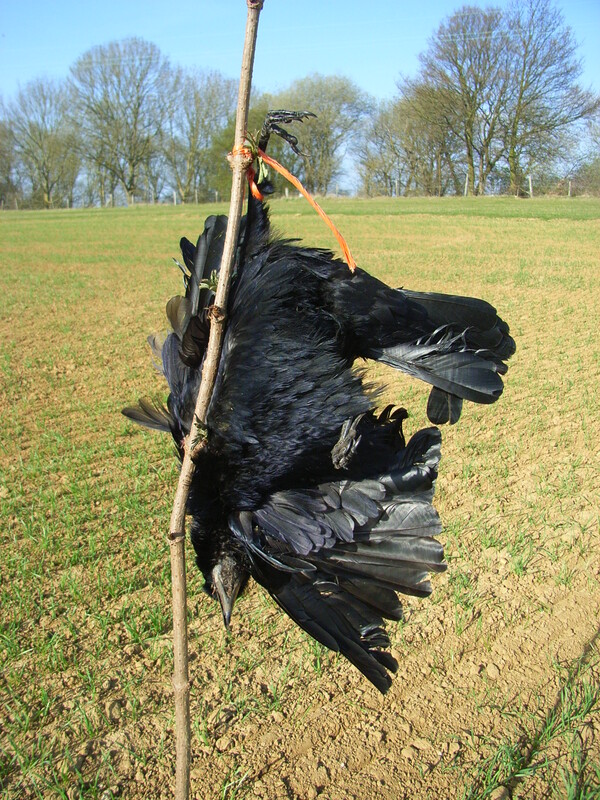 The feathery bodies of seven or eight are dangling from bamboo canes across the field. It’s a little gruesome, and it doesn’t seem to be deterring anything. When the dog and I are walking around 6.30, as the sun starts to fall behind the copse, the spring corn is dotted with crows, those pheasants and partridges that survived the shooting season, a couple of migrating geese on one night and on another, a shy muntjac deer. So much for the farmer’s efforts to scare them all away!